A home water filtration system from RainSoft can effectively address and treat many types of “problem” water. 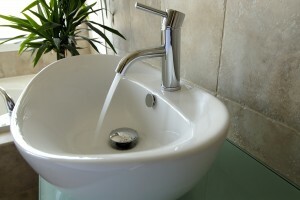 In most areas of the United States, including Fresno, California, the water supply contains impurities that stem from both natural and artificial sources. These impurities can sometimes make water unpleasant to use due to an off-putting taste, odor, appearance, or propensity to stain. Additionally, contaminated water can potentially damage water-using appliances and plumbing, and even lead to health problems. The best way to find out about the composition of your water is to have it professionally tested by a local water treatment expert. The water treatment specialists at RainSoft offer this service on a complimentary basis through our wide network of authorized dealers. With the information provided by your water analysis, you can then make informed choices about the best and most economical water treatment options for your home. Since 1953, RainSoft has continually researched, developed, and refined innovative water treatment solutions for homeowners around the globe. We proudly offer a range of outstanding water filtration systems, water conditioners, and water purifiers. To learn more, please contact a local authorized RainSoft dealer, who will be pleased to schedule your complimentary in-home water hardness and drinking water test, answer your questions, and recommend an appropriate home water filtration system to effectively treat the water throughout your whole house in Fresno, CA.